Poveri fiori, a setting by Arturo Colautti, was composed by Francisco Cilèa in 1902 (D minor) and premiered the same year. This aria takes part in act IV of his opera, Adriana Lecouvreur. Act I opens on Michonnet and his theater company preparing their performance. Adriana enters reciting her part and is complimented by the Prince de Bouillon and his friend l’Abbé de Chazeuil. The Prince is waiting for Duclos and decides to intercept the letter she is writing. When Michonnet declares his love to her, she confesses already being in a relation with Maurizio, a soldier (he happens to be the Count of Saxony in disguise, but she is unaware of that). He comes in and they agree to meet after the performance. She gives him violets of a token of her love. Meanwhile, the Prince de Bouillon discovers Duclos has asked, in her letter, to meet Maurizio later this evening at the prince’s villa. He decides to confound her and arranges a party at his villa where Adriana will be coming. Act II opens on The Princess de Bouillon (not the actress Duclos) declaring her love to Maurizio. He expresses his gratitude for her help at the court but confesses he does not love her anymore, much to her despair. The Princess de Bouillon hides when the Prince and, later, Adriana enters. She discovers Maurizio’s true identity and he convinces her to help the Princess escape. In the escape, the Princess loses a bracelet that Michonnet finds and gives to Adriana. Act III opens on Maurizio who has been imprisoned for debt. We also learn the Prince is experimenting on a powerful poison. When Michonnet and Adriana attend a reception at the villa, the princess believes she has recognized her rival. She lets Adriana know Maurizio has been mortally wounded, and when she faints with pain, she is sure Adriana is now the lover of the Count. When Maurizio enters, Adriana is overjoyed. The two women understand they are rivals for Maurizio’s affection and challenge each other. Act IV opens on Adriana in her home filled with anger and jealousy. Friends come to visit her and try to cheer her up, in vain. She receives a casket with a note from Maurizio. The casket contains the faded violets she had given him a few days ago. She kisses the flowers and expresses all the sadness and pain she is feeling in her aria: Poveri fiori. Poveri fiori originated was composed by Francisco Cilèa. The original lyrics are in Italian. The melodious note arrangement of Poveri fiori ranges from pianissimo (very soft) mellow notes to forte (loud) notes carrying the player and the audience through an array of vivid emotions. The sweet soft beginning of the music piece gradually increases and decreases the loudness in smooth transitions. This music piece is decorated with phrases, slurs and an arpeggio. A perfect composition for piano players to try with an intermediate knowledge in music. Students can make use of this sweet music piece to improve their knowledge in music expressions, ornaments and sight-reading, while all music lovers could enjoy this brilliant extract whole-heartedly. 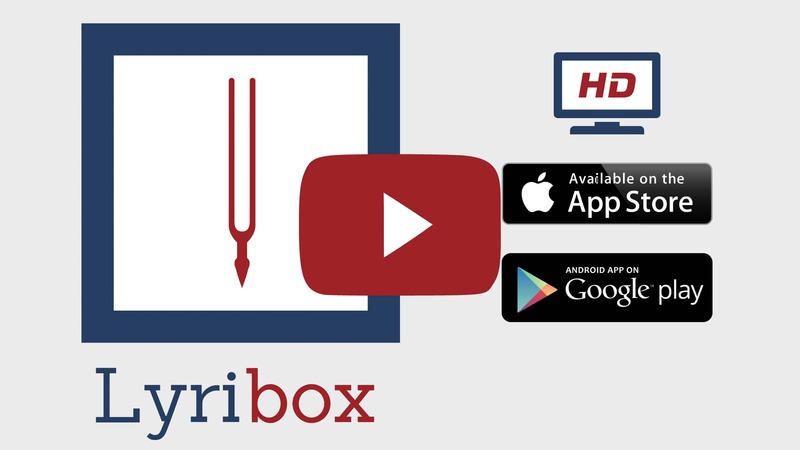 Poveri fiori sheet music produced by Lyribox is clear, precise and is transcribed in English by Lyribox. By purchasing Poveri fiori sheet music from us, you can simply sing along as you play this masterpiece on your piano. Unlike many sheet music sold online with all black notations, sheet music we offer you is marked using three distinct colors. While piano notation is illustrated in black, the music expressions and the lyrics are given in red and blue respectively. Get Poveri fiori by F. Cilèa sheet music from Lyribox today to enjoy and share this wonderful music composition with your friends and family. Poveri fiori piano accompaniment is offered by Lyribox is mellow and smooth. It feeds the poem an underlying pulse, adding a sense of propulsion to it. Meanwhile the vocal line flows in a dreamy leisure manner forcing the audience into a calming and languid mood. The vocal line of Poveri fiori by Lyribox has the potential to provide slight pitch support for the voice’s sometimes unusual intervals, enhancing the fullness of it. This accompaniment is not at all demanding. Using these rich Poveri fiori accompaniments you could create one of the most brilliant performances that is pregnant with layers and layers of expressions. Purchase the Poveri fiori piano accompaniment together with the vocal line accompaniment from Lyribox today!